Port Arthur is a town with a rich history and plenty of stunning coastal scenery. Located 60 kilometres from Hobart on the Tasman Peninsula, it forms part of the Australian Convict Sites, a World Heritage Property of penal settlements built by the British Empire. A stay in Port Arthur is a chance to delve deep into Australia’s convict past while also checking out the beaches, bushwalks and other natural attractions. A trip here is an essential part of any Tasmanian adventure, so look no further for great Port Arthur accommodation! Port Arthur’s historic site covers more than 100 acres of land and includes about 30 historic buildings. See The Penitentiary, the haunting ruin that was once the ‘inescapable prison’ of Tasmania. Visit the dockyard and witness where convict labourers crafted hundreds of ships. Take a visit to The Coal Mines Historic Site where ‘the worst class’ of convicts were sent to toil. Particularly brave souls and those who like to dabble in the paranormal can take a ghost tour by lantern-light through Port Arthur’s ruins and even join a group for a late-night paranormal investigation experience, using the latest ghost-hunting equipment. Take a ferry trip to The Isle of the Dead, the penal settlement’s burial ground and the final resting place of 1769 convicts. A trip to Port Arthur is a fascinating look into a time and place that was lonely, harsh and brutal. But there’s more to this part of Tasmania than history. It’s also known for its bush trails, isolated beaches and natural rock formations. Five kilometres south of town is the Remarkable Cave, which splits into two tunnels leading out to sea. Not far from that is Crescent Bay, a beach that lives up to its name with a shore shaped like a perfect semi-circle and steep, dramatic sand dunes. It’s a great area for bushwalking! Feel like a bit of quirky local culture? Towards the southern end of Pirates Bay you can find Doo Town, a holiday village where the locals have given their shacks ’doo’ names like ‘GunnaDoo’ and ‘Thistledoo’. 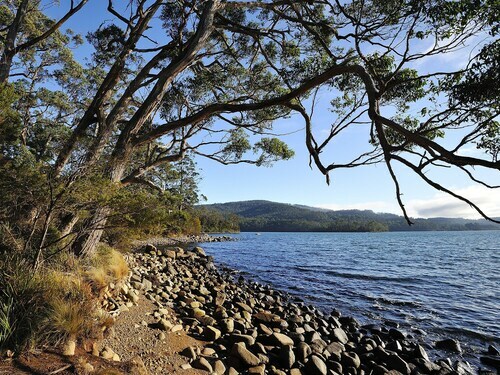 From Port Arthur you can set about exploring the rest of the Tasman Peninsula. The Tasman National Park has some of the country’s best coastal views and activities like bushwalking, hang gliding and rock climbing. Visit Eaglehawk Neck, 15 minutes from Port Arthur, and see The Tessellated Pavement, where a rare kind of natural erosion has turned flat rock into a series of rectangular pools. 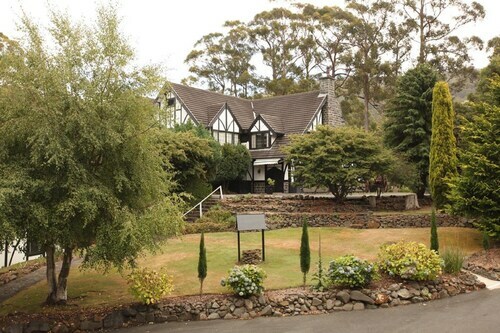 A visit to the Tasman Peninsula offers a world of exciting possibilities, so book your Port Arthur hotel with us today! How Much is a Hotel Room in Port Arthur? 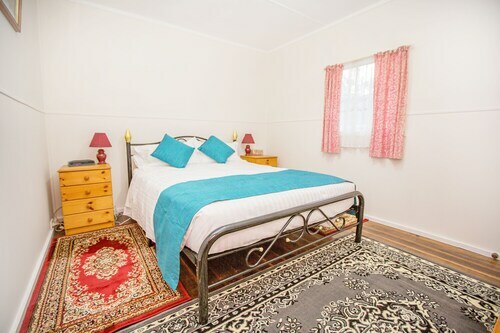 Hotels in Port Arthur start at AU$92 per night. Prices and availability subject to change. Additional terms may apply. The staff friendliness and access to the animals which were many and varied. Lovely view from the room overlooking the bay. Great food in restaurant. Friendly helpful staff. .